Before noon on Black Friday only, stop by Build-A-Bear Workshop for limited edition Sock Monkeys, Nick & Joy. These popular friends will be two for $15 ($10 each, sold separately), while quantities last. Special Sock Monkey outfits will be sold for $6 each. 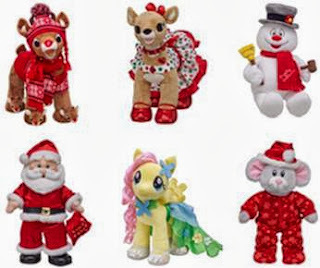 Click HERE for more information about each of these new, adorable Build-A-Bear Workshop Holiday toys!